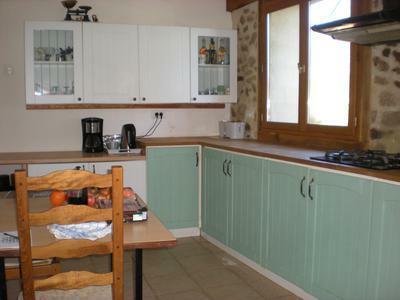 Property for sale La Martinie, Limousin. 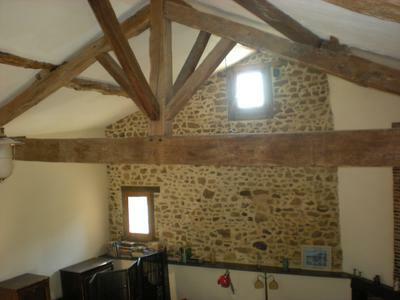 A stunning 4 double bedroom barn conversion situated in a small rural hamlet. 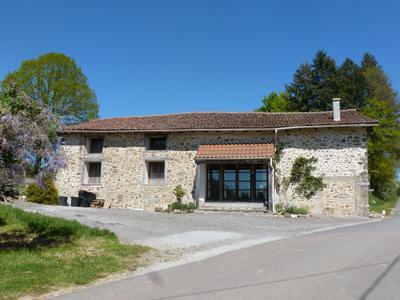 45 minutes from Limoges airport. The beautiful Charente lakes are a short drive away. The property has parking for several cars, under floor heating downstairs and mains drainage. It has a double height front room with minstrel gallery. 2 bedrooms downstairs, large modern kitchen, utility room, shower room and toilet. It has a further lounge downstairs. Upstairs, with a solid chestnut floor, are another 2 large bedrooms, a bathroom and separate toilet. 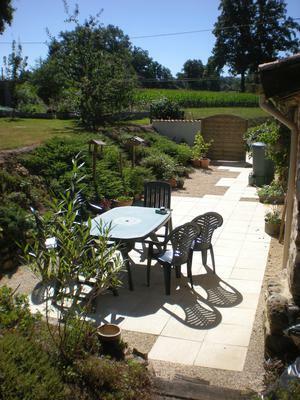 The property has a lovely good size mature garden with a sunny patio. Beautiful views to the rear of the property. 150,000€. Buyer pays Notaire fees.